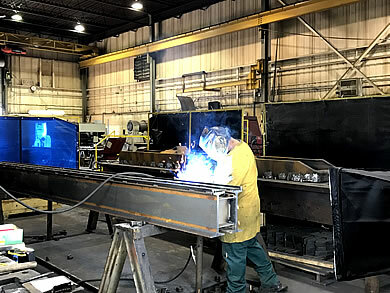 FABRICATION - China Steel Inc.
From initial concept to approved design, China Steel Inc. will fabricate and assemble mechanical sub-assemblies of any size or complexity. Our ability to work closely with purchasing and engineering departments, has earned us a reputation for high quality and service. We work under exclusive and confidential licensing agreements with engineering firms from around the world to deliver products to Europe and the Americas. Size limitations on fabricated products are only governed by shipping regulations. Because of our location we are able to ship your products via transport, sea or rail. We will fabricate and assemble to any size you desire for shipping, or we can ship knocked down for field assembly.